Kolukkumalai, the highest tea plantations in the world is situatated in Bodinayakanur Taluk of Theni district in Tamil Nadu. And it is near to Munnar, a famous tourism spot in Kerala. This place is known for its misty views, colonial bungalows, and tea plantations extending in every direction. Kolukkumalai is about 7,900 feet above sea level and you can have some excellent views of the far off plains in the bordering State of Tamil Nadu. The distant hills slipping in and out of the mist is a captivating sight. The tea plantations in Kolukkumalai is one of the main attraction in this touris spot. And the tea grown here has a special flavour and freshness, thanks to the high altitude. You can see the old tea factory, a two-storied building, built in the 1930s, with its wooden interiors and aroma. Here, tea is prepared in a traditional way. Visitors are allowed to see the plantation with a nominal fee. The rolling acres of tea are an experience in itself for the visitors. Take a lovely stroll on the pathways in the plantations. The more adventurous can take a walk down a fairly steep and narrow bridle path leading to the plains. The hill top is accessible only by jeep and it is about one and a half hour journey from the Munnar town. Kolukkumaila tea estate is 38 kms away from Munnar, one and a half hour travel. Since Munnar is known for its climate, any time we can visit the places. Those who like chilled climate, winter season is good time to visit. What to do in Kolukkumalai? If you like trekking, it is one of the best suitable place for you. You can visit the nearby hill stations like Meesappulimala. Visit the tea factory and watch the process in tea powder preparation. 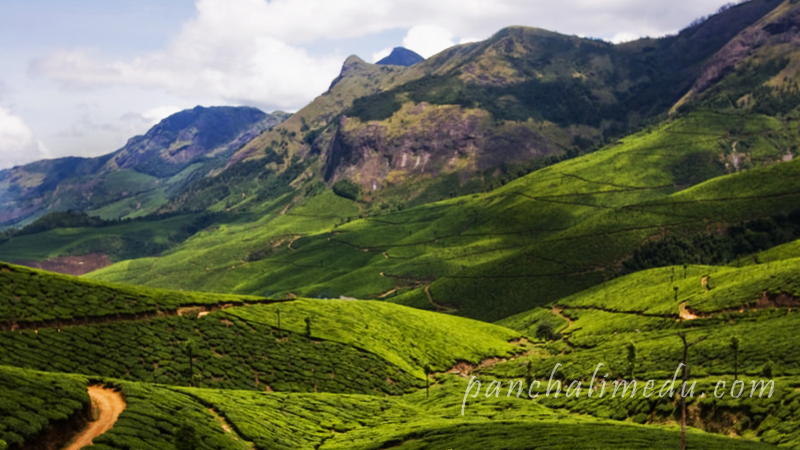 Enjoy the vast tea plantations.